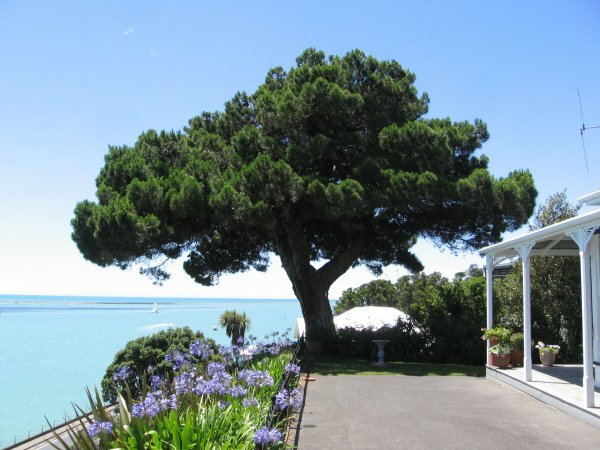 This impressive tree is prominantly situated high on the cliff above Wakefield Quay. Measured at 1m because of low branching. Pruning has kept the tree compact. A clean stem to 2.3m branching into 3 main stems that swirl to intermesh. Whilst the tree can be seen from the gate, it is best viewed from below near 369 Wakelfield Quay.